7th Floor, Deluxe House, Veera Desai Road, Off New Link Road, Andheri (W). 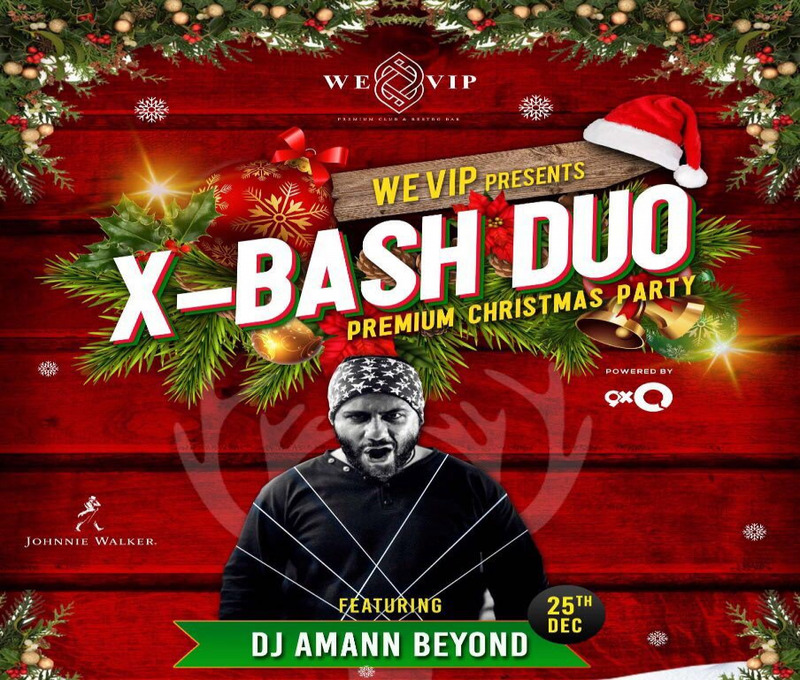 Put on your dancing shoes as WE-VIP Premium Nightclub and Restro-Bar, one of the most glamorous and elite nightclub in Mumbai presents X-Bash Duo the premium Christmas party with DJ Nina & Malika on 24th December and DJ Amann Beyond on 25th December. While one of India’s leading female DJ duo Nina &Malika will fire up the evening with electronic music on 24th December, DJ Amann who is know for mixing Rap, Jazz, Folk, Rock and contemporary music with traditional melodies will have the crowd grove to his beats on 25th December. Moreover, clubbers can indulge in an exotic special X-Mas menu ranging from ChristmasTrizza, Fondue di Formaggio, and Uncle Jerry's Feast, Thyme Infused Rice with Spicy Chargrilled Cottage Cheese, Traditional Roast Chicken and exotic cocktails like Egg Nogg, Christmas Punch and Brandy Alexander. One shouldn't miss the yummilicious Dessert Christmas Garden and Chocolate Rum Santa Caps.